David Tepper, founder of the hedge fund Appaloosa Management, agreed to purchase the team for a reported $2.2 billion, according to the Charlotte Observer. It's the most ever paid for an NFL team, eclipsing the $1.4 billion paid for the Buffalo Bills in 2014. Tepper is a minority owner in the Pittsburgh Steelers. The deal will have to be approved by NFL owners, who meet next week in Atlanta. Tepper is worth $11 billion, according to Forbes' billionaires list. He's a noted philanthropist and an outspoken critic of President Donald Trump, who he called "the father of lies" in an interview with CNBC in 2016, referring to Trump's boasts about philanthropic giving. He said he believed Trump was dishonest. "Listen, Trump masquerades as an angel of light but he is the father of lies," he said. Trump criticized the league last season after players took a knee during the National Anthem. Players were protesting the treatment of black Americans, but Trump called on NFL owners to fire them. Former owner Jerry Richardson announced in December that he would sell his principal stake after the team started investigating him for "workplace misconduct." Forbes ranked the team 21st out of the NFL's 32 teams with a value of $2.3 billion. There are several things that may have impacted the final price and interest from bidders. A source familiar with the sale said the Panthers are thought to be well-run. The team is also located in Charlotte, North Carolina, which is a decent East Coast market, and quarterback Cam Newton is one of the most marketable stars in the NFL. When the sale was first announced several celebrities expressed interest, including rapper Sean Combs, also known as Diddy, Golden State Warriors star Stephen Curry and former NFL quarterback Colin Kaepernick. Richardson paid $206 million in 1993 for the rights to start the team, according to Forbes. 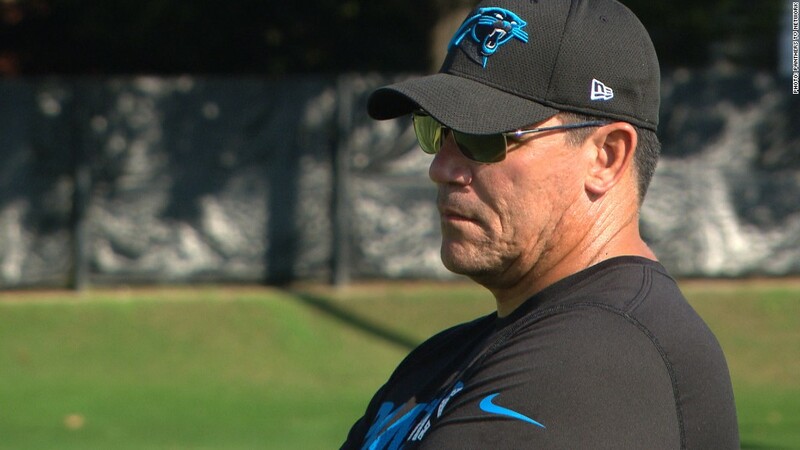 Richardson said in 2009 that his family owns 48% of the team, according to The Charlotte Observer.